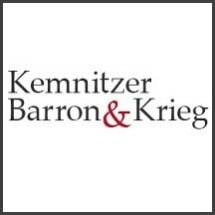 With law offices in San Diego and throughout California, Kemnitzer, Barron & Krieg, LLP, features a legal team well-known for providing consumer protection services to car owners. The partners at KBK legal - Bryan Kemnitzer, Nancy Barron and William Krieg - were among the first attorneys in the state to bring private lawsuits to enforce the California Lemon Law and other consumer protection laws. When you choose our law firm, you can be certain that all options will be explored to get you justice. Our record demonstrates our commitment to righting wrongs on behalf of consumers. We have brought justice to thousands of individual clients and more than a million class members in class-action lawsuits. We are always prepared to go to trial, and our lawyers have solid trial experience. More often than not, it is our trial reputation that leads to success in out-of-court settlement negotiations. Furthermore, we are skilled at appeals, and the results of our appellate cases have helped shape consumer law in California as it affects car buyers and owners. Our representation is available to consumers who have discovered that the new or used car they purchased is defective. Do you believe that the car you bought has a serious safety defect? Is the car under warranty? Is it a certified used car? Perhaps you were sold a car that was in a prior accident or was a prior rental vehicle, and the dealer did not notify you. Whatever the case may be, it is important to understand that you may have rights under California's consumer protection laws. We can help you explore them, whether you purchased a defective car or motor vehicle of any type. Our attorneys also serve victims of problem auto transactions. Is there an issue with the title loan? Have unfair debt collection tactics been used against you? Was your vehicle wrongfully repossessed? Whether the transaction was flawed from the very beginning or the bank failed to give post-repossession notices as required by law or attempted to collect on a deficiency that the bank had no right to collect, you can benefit from having an attorney on your side to navigate the legal process and protect your rights. We will take action on your behalf.